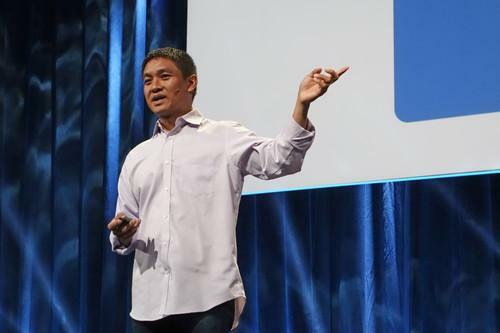 Omar Baldonado, manager of infrastructure software engineering at Facebook, spoke on Tuesday at the Open Compute Project Summit in San Jose, California. The Open Compute Project says it has broken tight bonds between hardware and software that have kept networking closed for decades -- and it took less than two years. Switches and routers traditionally have been "black boxes" with hardware and software from the same vendor and no way for others with new ideas to modify them. Networking is like Unix servers 15 years ago, with proprietary hardware and OSes ruling the day, said Omar Baldonado, Facebook's manager of infrastructure software engineering. An OCP effort that began in May 2013 has now opened that world up a little bit, he told the OCP Summit in San Jose on Tuesday. Vendor proposals, development work and tests since then have led to the first switches built with open-source hardware designs, as well as the beginnings of a full open-source software stack for networking equipment. With these, software from one vendor can run on hardware from another, potentially opening the floodgates to more innovation to meet the needs of enterprises. OCP operates like other open-source projects, taking contributions from vendors and other developers and reviewing them for inclusion in a set of specifications that's freely available. The difference is that OCP mainly certifies hardware designs instead of code. Its testing efforts include ensuring that the open technology works with conventional gear that most enterprises will still have in their networks for many years. The networking effort wasn't easy at first, because no one had ever shared switch hardware designs, Baldonado said. There were difficult issues to work through, including intellectual property licensing. But late last year, OCP accepted its first open switch design, a 10-Gigabit Ethernet switch from Taiwan-based Accton Technology. "This is an industry first. Nowhere else can you go and just get the design package for a switch," Baldonado said. "Anybody can build this." More hardware is on the way. One high-profile design is Facebook's Wedge, a 10-Gigabit switch to link all the servers in a rack, which the company has just proposed as a contribution to OCP. Accton announced it plans to start selling Wedge-based switches this quarter, and other vendors plan to use the design, too. Broadcom, Mellanox and Alpha Networks have also contributed hardware designs that are being reviewed by OCP. But open networking also takes software, and OCP is working on that, too. On Tuesday, OCP accepted Open Network Linux, a switch OS contributed by Big Switch Networks. Microsoft has kicked off a multi-vendor project to build SAI (Switch Abstraction Interface), a common programming layer to access basic switch functions on any open hardware. The project's next goal is to develop a full software stack for open network gear. Also on Tuesday, Broadcom released the Open Network Switch Library, which gives developers access to the SDK (software development kit) for the company's StrataXGS switch silicon. This is a major breakthrough, according to Najam Ahmad, Facebook's director of technical operations. Switching is done by custom chips that take years to develop, so even designers of open switches need to turn to silicon vendors like Broadcom. For truly open networking, developers have to be able to program those chips, and that requires access to an SDK, Ahmad said. Until now, Broadcom required a license for its SDK. "You can get a box, but you can't program it without the license," he said. The open library is good news for FBoss, the software that Facebook wrote to run the Wedge, because FBoss works through Broadcom's SDK to talk to the switching chips, Ahmad said. Facebook hopes OCP creates a broad ecosystem of networking vendors that it can tap into to solve problems in the future. The company estimates that OCP technology and related efficiency work have saved it $2 billion in infrastructure costs. The Wedge switch and its software are already in production use in Facebook data centers, Baldonado said. "If you're one of the 1.4 billion users of Facebook, odds are you're going through FBoss."